After running the numbers and negotiating your best deal your long term success depends on your property management skills. You may need to develop these skills over time or turn over the management to a property manager and pay them to handle all aspects of property management. 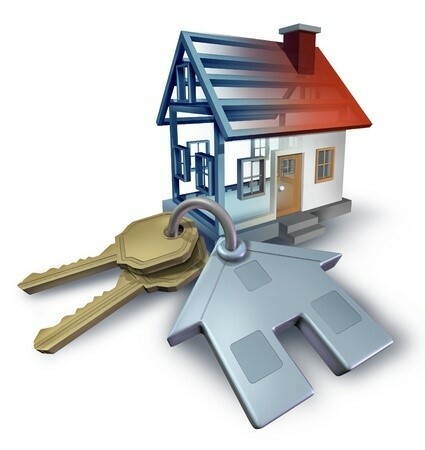 The following are some tips for basic property management. Know what your good at and when you need to call someone for help. There is nothing wrong with trying your hand at something new, but know when your over your head and get help as needed. Example: if you do not own tools, or have no desire to fix things, find a good, affordable handyman, and a plumber too. When dealing with tenants, be fair but firm. If you can’t be firm use as spouse or partner before giving a hasty response (e.g. I need to check with my spouse, the owner, my partner, and I’ll get back with you). Keep the property maintained. A run down property will not bring the tenants you want and will not bring top dollar when you want to sell it. Eventually your will become a major headache an you will be asking why you ever got into the business. Screen tenants, this may be the most important management tip. You did not buy the property to deal with late payments, evictions and high vacancy rates. Charge a non-refundable fee for a background check or use a Realtor and pay them to list the property on a multiple listing service (MLS) and let them handle the background check and prepare the lease. They may be able to negotiate a higher monthly rent too. Remember all records are online at the county clerks office, if you want to do a quick check yourself. Never take cash from prospective tenants. For more on screening tenants. Limit pets to 1 and preferably a small pet. Multiple pets are trouble. Collect a non-refundable cleaning fee. You may want to inspect the property on a yearly basis, write this into the lease. It is recommended to collect a deposit equal to one month rent, just in case. Always collect the first month with the lease, and usually the last month too. The market will determine what is reasonable. Never accept cash with a new tenant. You usually have a 10 days to hold the deposit after the tenant leaves if you need time to assess any damages. Be friendly with the tenants, but don’t become friends with them. This will prevent problems. If you need a friend buy a dog. Pull permits if you are doing work outside (e.g. plumbing, digging, a/c). This will save you money in the long run. Doing work, modification, additions, etc. and not pulling permits can come up when you go to sell your property. Its best to follow the city’s building codes. When showing a property for rent, paint it and clean it. It should be nice enough that you would consider living in, at least it should meet you minimum standard. Replace or repair anything broken. Watch for scams, if real estate agents are showing the property, put a posting of the MLS listing in the window, check the property every night to ensure windows are closed and all doors are locked. If someone enters the property and changes the locks you have big problems. For more on scams. Keep receipts for any expenses and keep good records on expenses. You will need this information when you are preparing your taxes. It is good to have a CPA or accountant that will prepare your taxes, it won’t cost that much, plus they will keep you out of trouble with the IRS. Unless you like preparing taxes yourself.